Rupert Pupkin Speaks: Underrated Detective/Mysteries - Jaime Christley ""
Jaime N. Christley is a freelance writer living in New York City, where he also drives a yellow cab. Thus, a hack writer with a hack license driving a hack. Find him on twitter @j_christley. A fixture of genre entertainment from way back, there's something undeniably "movie" about the mystery genre: insistent, almost impertinent looking, a purposeful voyeurism, put to the service of integrating a structure, using equal parts sound method and modern engineering. Also like the cinema, the fruit of a mystery story's power persists where its structure dissolves into a spiral of twists and knots. Here's a handful of specimens to help illustrate what brings us back to the genre, time and again. 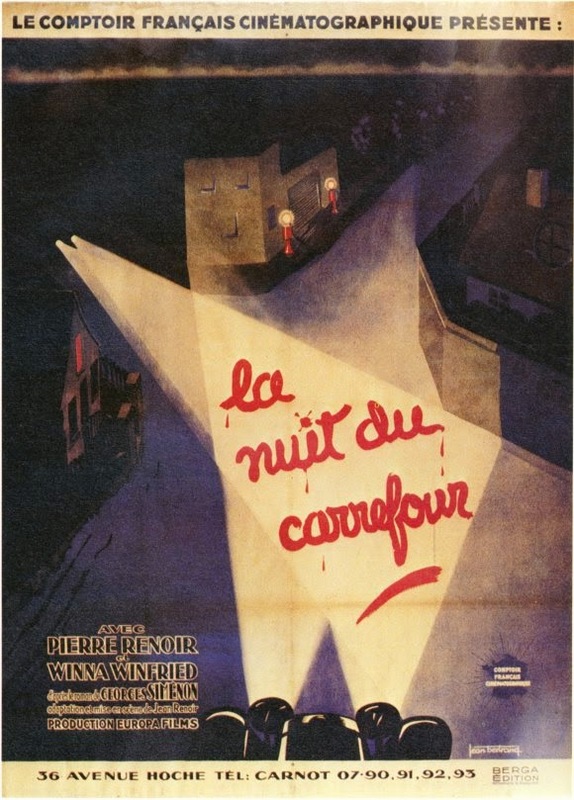 La Nuit du Carrefour (Jean Renoir, 1932) - There's a mystery in here somewhere, but it's the intensity of the atmosphere that will likely overpower any desire to make sense of it. A dream of claustrophobic sets and fog, not unlike Hitchcock's Number 17, with proto-Maddin imagery: hands stealing through a windowframe, the gracefully reclined vamp heroine, plumes of cigarette smoke. The director's brother plays the indefatigable but only human Maigret; one reel is missing but not missed. Allotment Wives (1945; William Nigh) - So prevalent was the uniformed man in American movies during and after the war that writers sweated to employ law enforcement officers serving in every branch of the federal government with four walls and a roof. Lewis Allen's Appointment with Danger had a postal inspector with a badge and a gun; the military cop in William Nigh's Allotment Wives, a kind of Mildred Pierce with G-Men, serves the Department of Veterans Affairs. The brains and gams behind a death benefit check racket is erstwhile pre-Code siren Kay Francis, whose surprising aptitude for the role makes one daydream about an alternate second act for the ex-Madame Colet. Veteran character actor Otto Kruger brings the acting reinforcements. 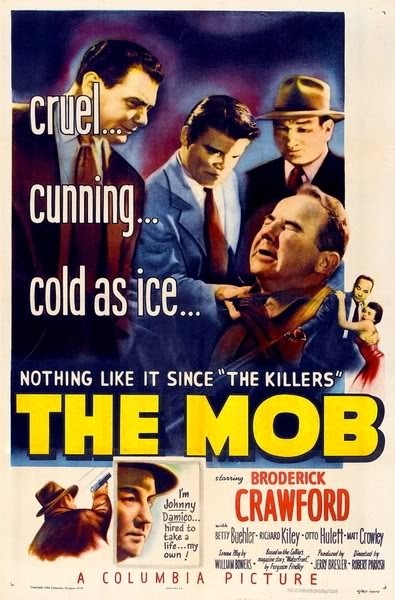 The Mob (Robert Parrish, 1951) - Generic enough title for you? Robert Parrish's compact but feisty little crime story treads lightly on the same territory made grave and leaden a few years later by Elia Kazan: syndicate muscle down at the docks. Broderick Crawford plays Johnny Damico, a policeman obliged to go undercover after an early blunder allows a cop killer to take it on the lam. The script, by prolific western and noir scribe William Bowers (Support Your Local Sheriff) lets Damico mouth off with happy pessimism at everything and everyone, so there's no question he'll triumph in the end. Crawford played the heavy so often - he even won the Oscar for it - that his rare turn as a resourceful hero makes the kind of sense any long shot makes, when it pays off. He even gets to kiss a girl! 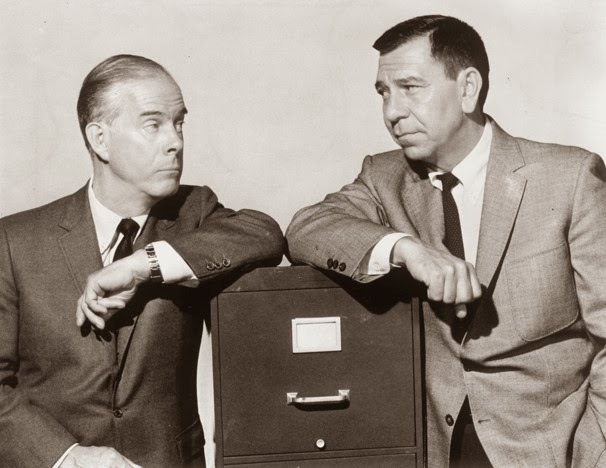 Dragnet "The Shooting Board" (Jack Webb, 1967) - I chose "The Shooting Board" not because it enjoys any kind of status as a standard-bearer among the many murder mysteries and robbery investigations that required the talents of Joe Friday and his partners. 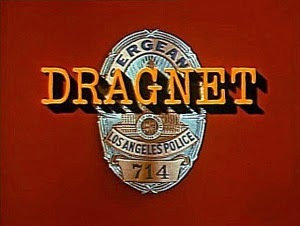 This 1967 episode, from the rebooted Dragnet, stands out because the object of the investigation happens to be our hero; after an especially long shift, and perhaps not enough sleep, Friday shoots a would-be stickup man who may or may not have given the iconic Los Angeles policeman cause to use lethal force. Calling into question the integrity that powered Friday through countless 24-minute tales of sober questioning, rock-solid policework, and borderline fascist do-right-ness, the episode poses the question: how bendy are the rigid lines with which Webb diagrams his moral and physical universe? The answer manages to be, not at all, and, with a hint contained in the episode title's double meaning, just enough. 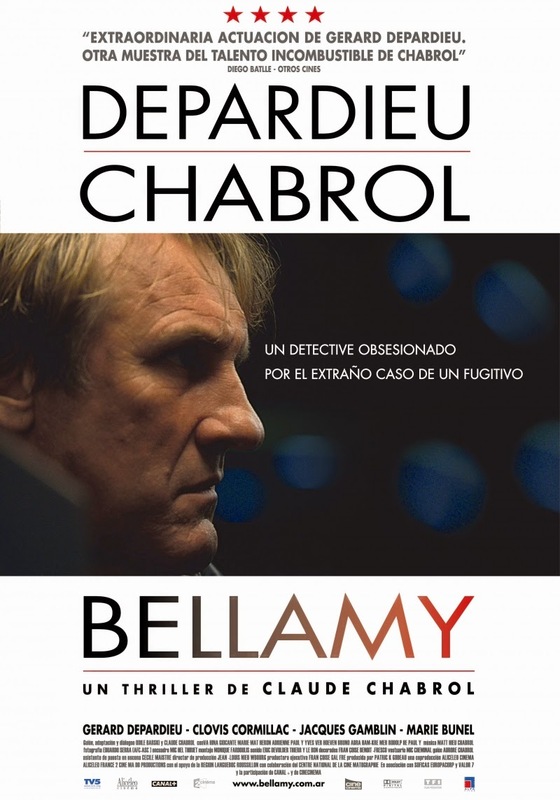 Inspector Bellamy (Claude Chabrol, 2009) - With grace befitting his mostly forgotten stardom, the nobly bovine Gerard Depardieu moves in gentle circles as the forensic evidence of a murder that may not have even taken place alights around him. The arrival of his bitter, ne'er-do-well brother (Clovis Cornillac) adds just the right Chabrolian pique that turns a borderline cozy into an appropriate capstone to a career that often asked, which centrifugal forces are more likely to pull us apart: familial love, crimes of passion, or absurd happenstance? Great selections and wonderful comments for your list, Jaime.